We’ll show you, how to install Sentora on Ubuntu. Sentora is completely free web hosting control panel for Linux, UNIX and BSD based servers written in PHP. It is fully featured and easy to use hosting control panel that can help users to manage their servers with ease through the user interface. Its installation is pretty easy and fast and includes all the software you will need to manage multiple websites and clients on a single server. In this tutorial we will guide you through the steps of installing Sentora control panel on Ubuntu. 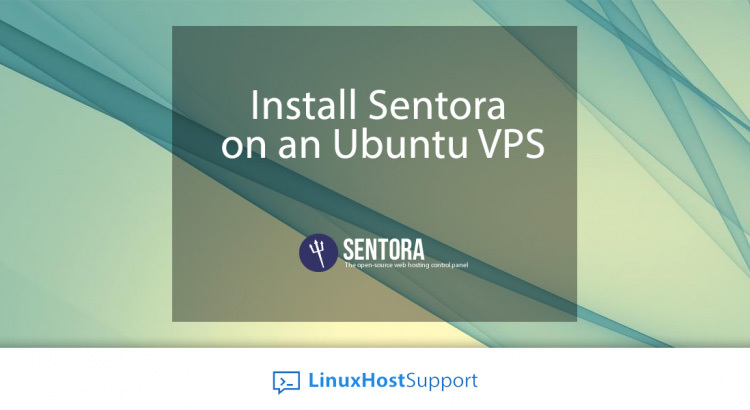 Please note that there can be no other services such as Apache, Nginx, MySQL, PHP, FTP and mail server, etc… installed on your Ubuntu VPS prior to installing Sentora. If you already have some of these service installed, you will have to remove them in order to start the Sentora installation. is designed to install and configure Sentora on a clean OS installation only! Please re-install your OS before attempting to install using this script. Once the installation is completed, open you favorite web browser and point it to http://sentora.yourdomain.com to access Sentora control panel. For more information on how to install, configure and use Sentora control panel, please visit the official documentation. Of course you don’t have to Install Sentora on an Ubuntu, if you use one of our Linux Host Support services, in which case you can simply ask our expert Linux admins to install Sentora on your Ubuntu server for you. They are available 24×7 and will take care of your request immediately. PS. If you liked this post, on how to Install Sentora on an Ubuntu, please share it with your friends on the social networks using the buttons on the left or simply leave a reply below. Thanks.